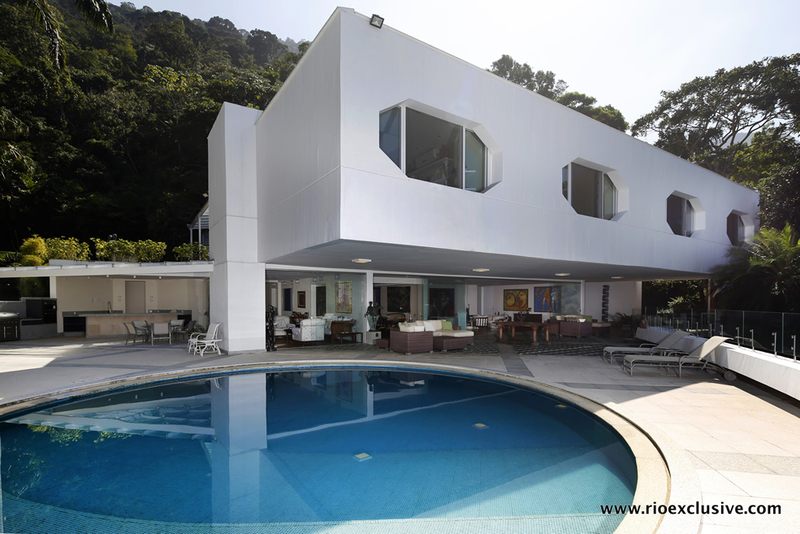 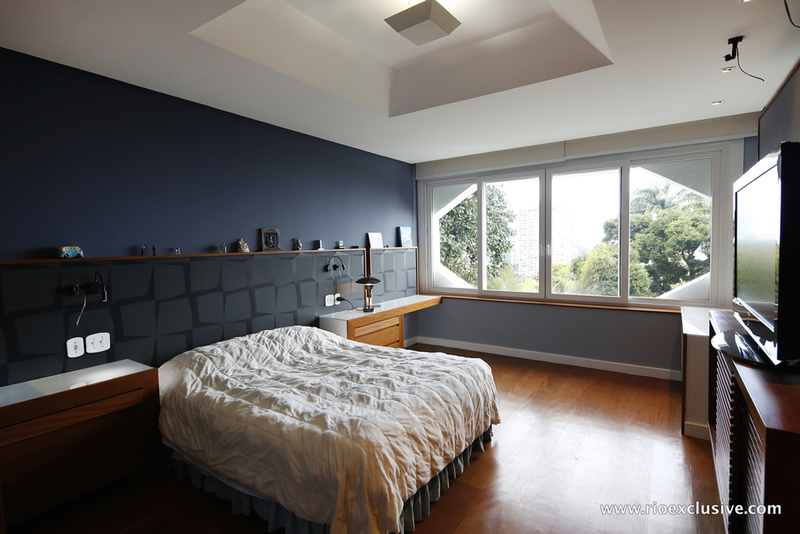 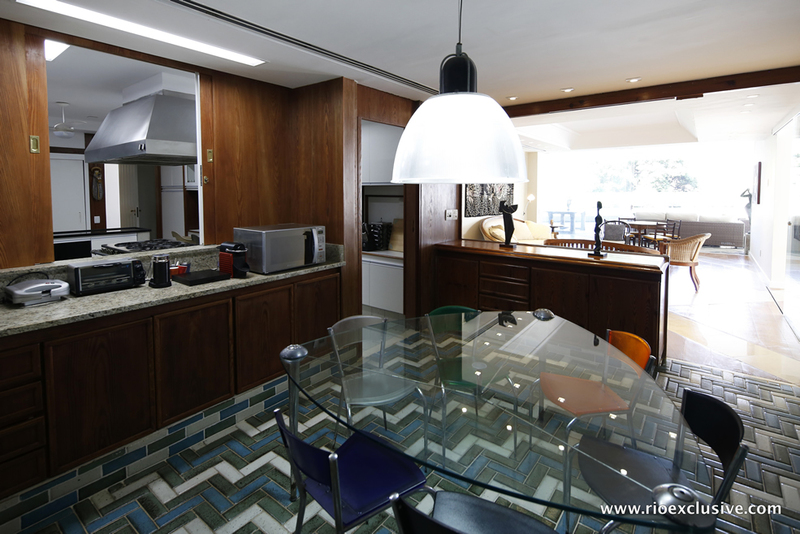 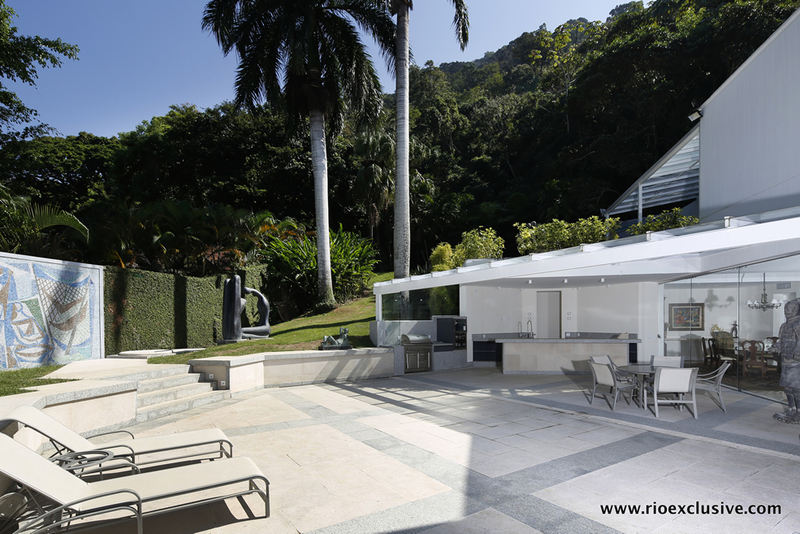 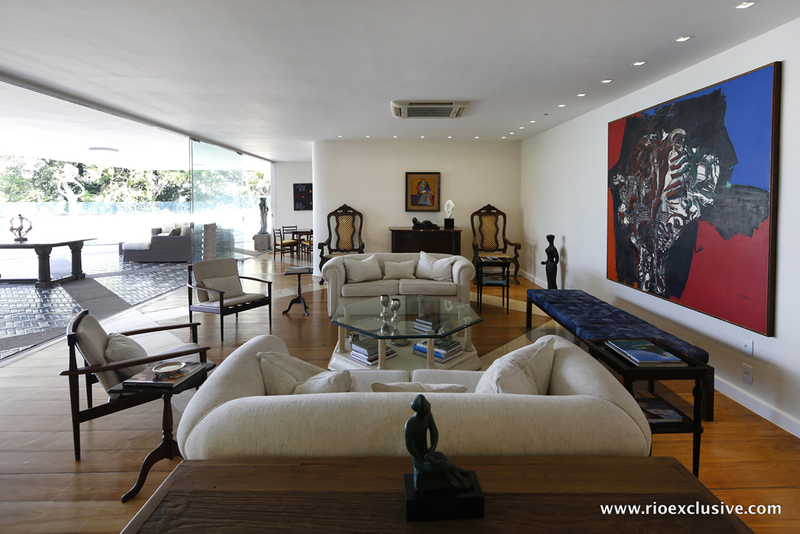 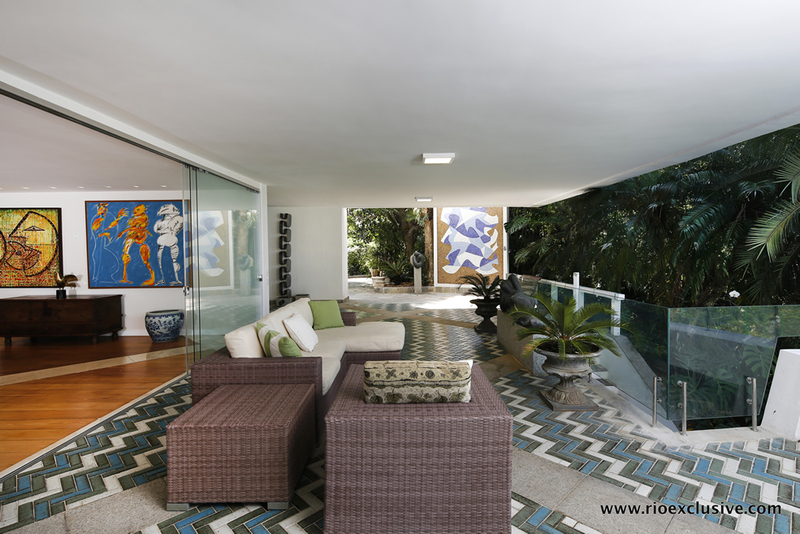 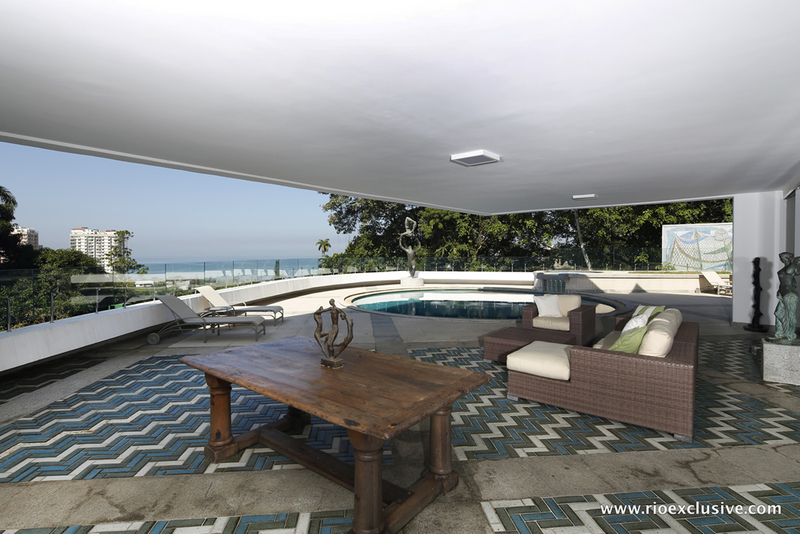 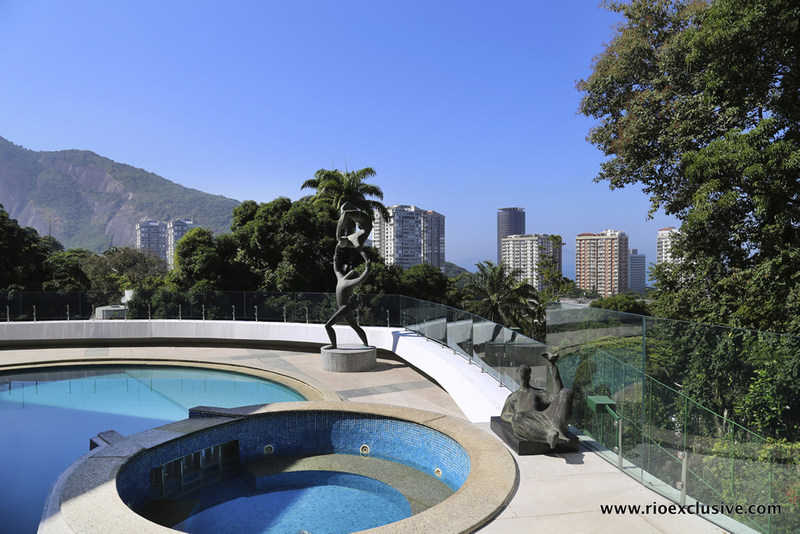 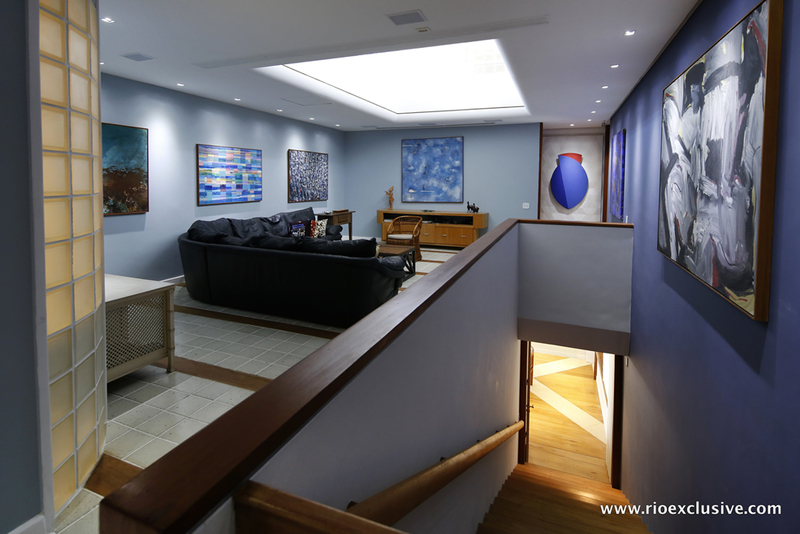 7 bedroom mansion with swimming pool, gym, tennis court and ocean view design by Oscar Niemeyer in São Conrado. 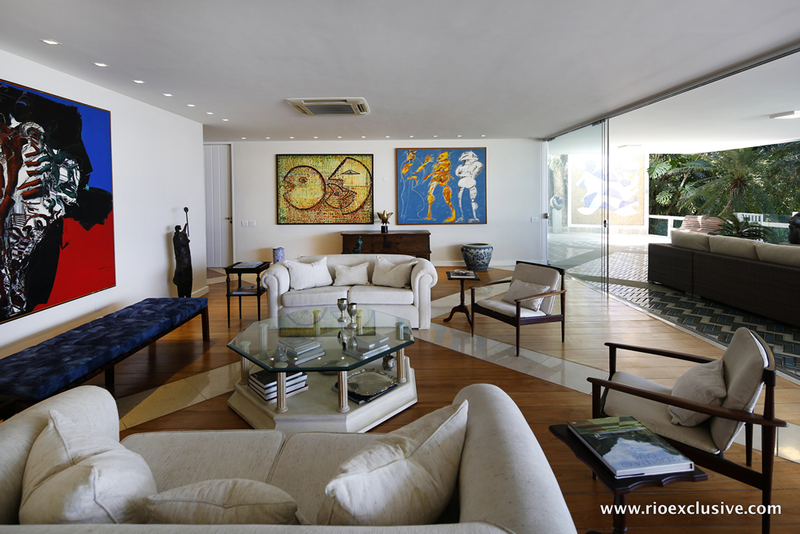 Unique master piece designed by Oscar Niemeyer with 1700ms of built area over 3,415 m2 metres of Land. 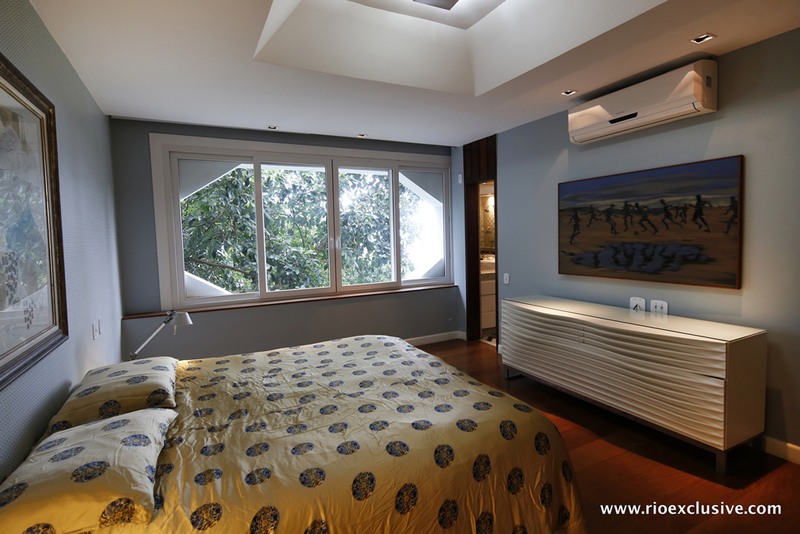 Composed with 7 bedrooms, with the Master featuring three rooms in total, master bedroom, separate TV room, library with a veranda with an external access ramp. 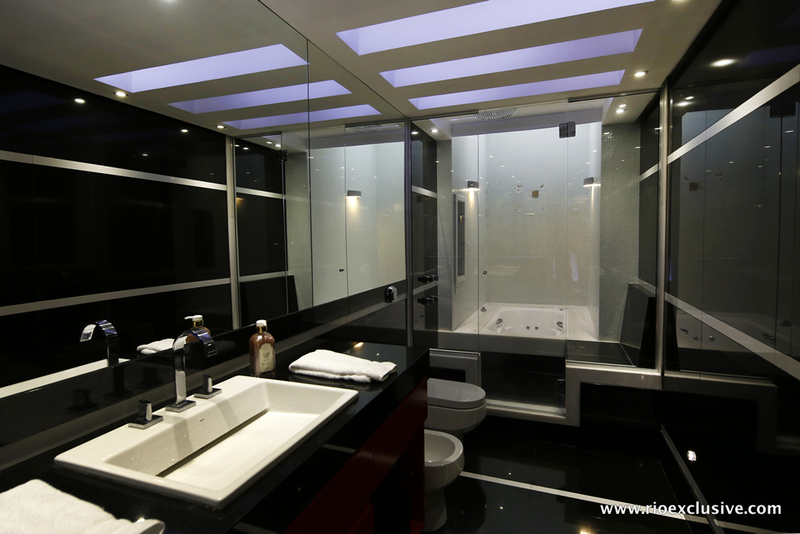 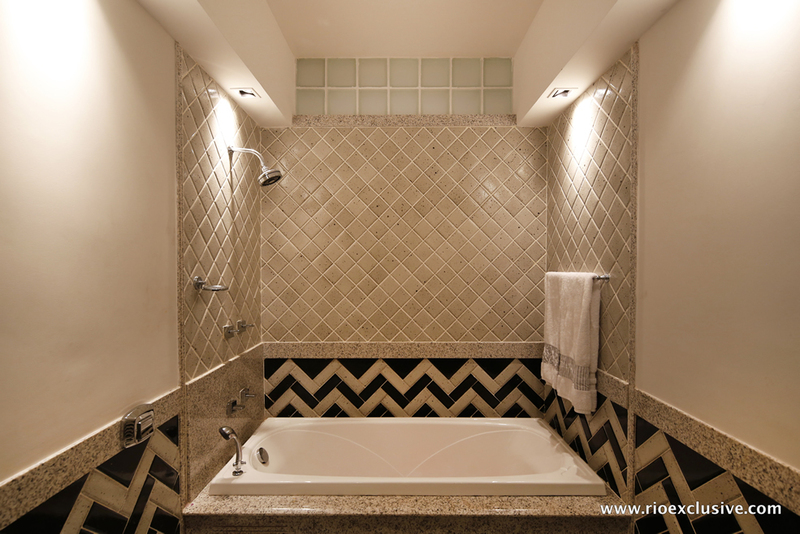 The bathroom features with Two full closets two full bathrooms with hidro and marble finishes. 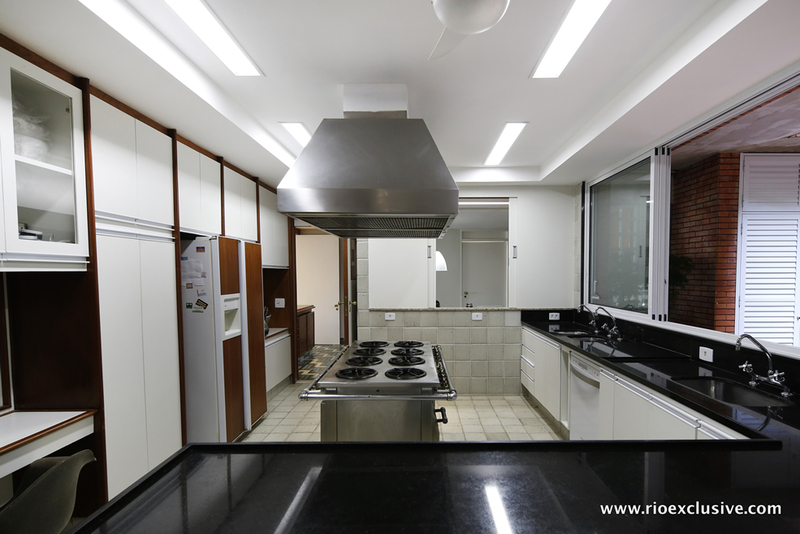 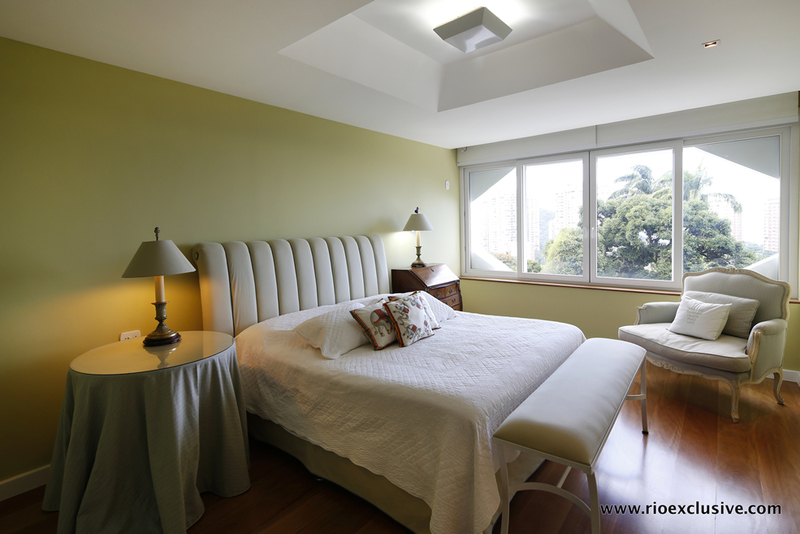 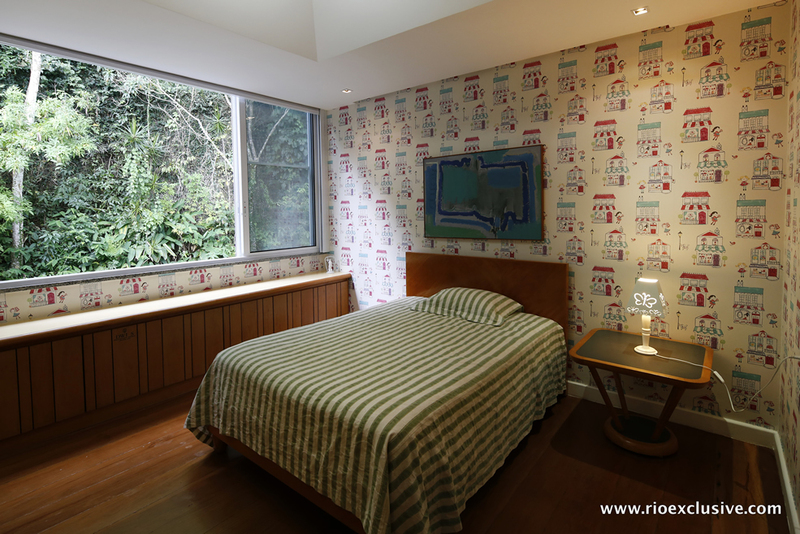 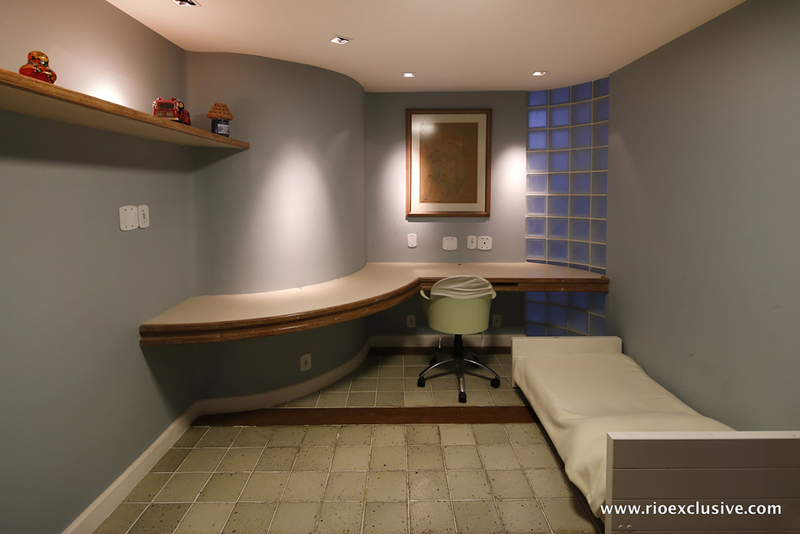 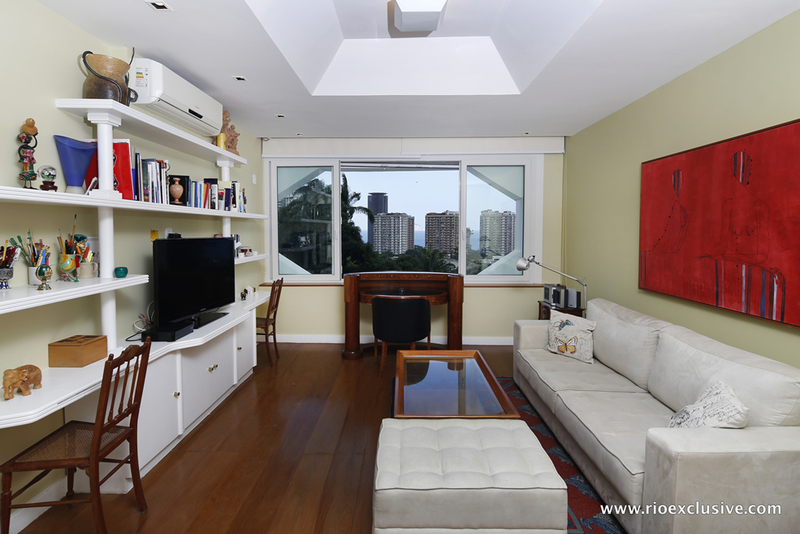 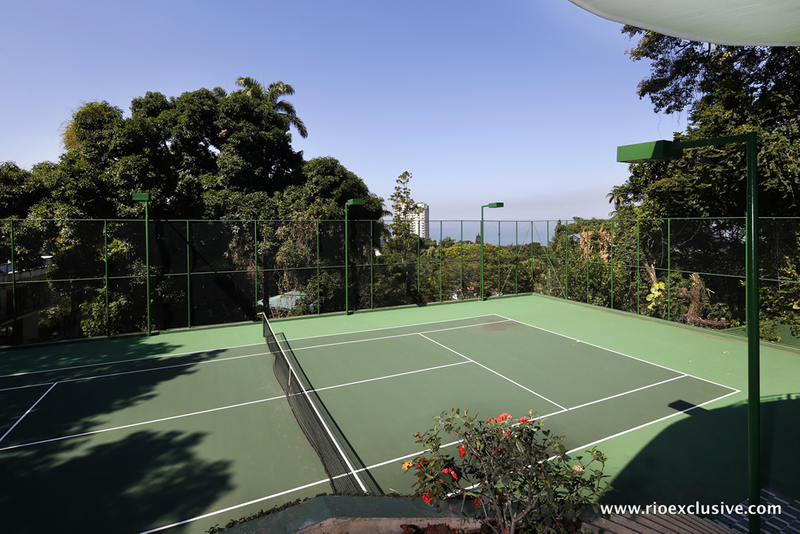 There are four other suites located on the same floor with all with unique views or Rio with full bathrooms. 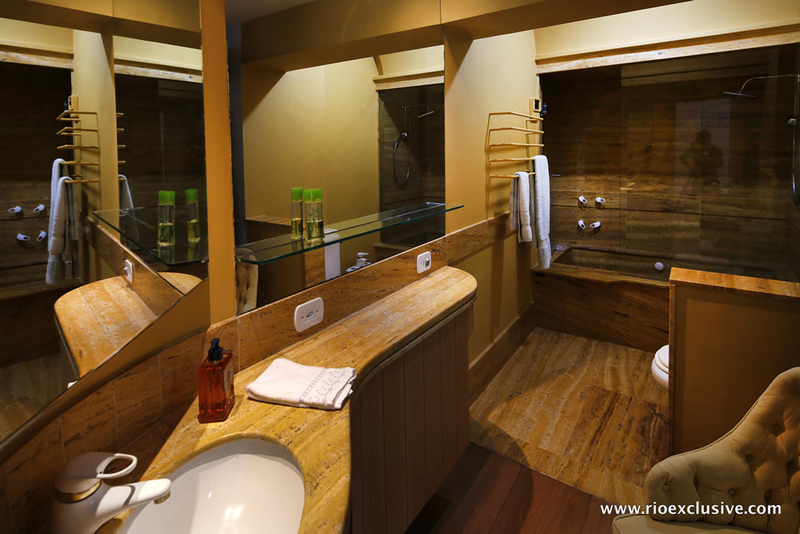 The Guest bedrooms share a bathroom in the hall way. 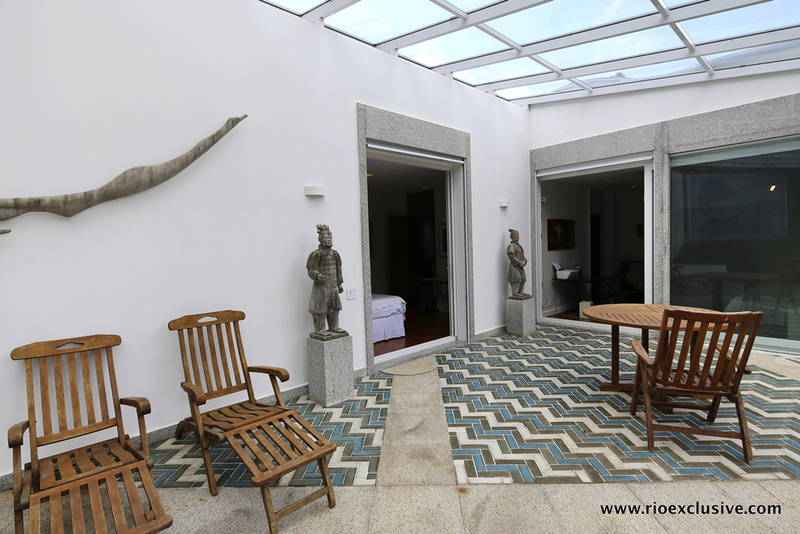 With 5 different living areas, informal living room, formal sitting room, lunch room, dining room and Home theatre making this Villa great for a large group or family wishing to having privacy. 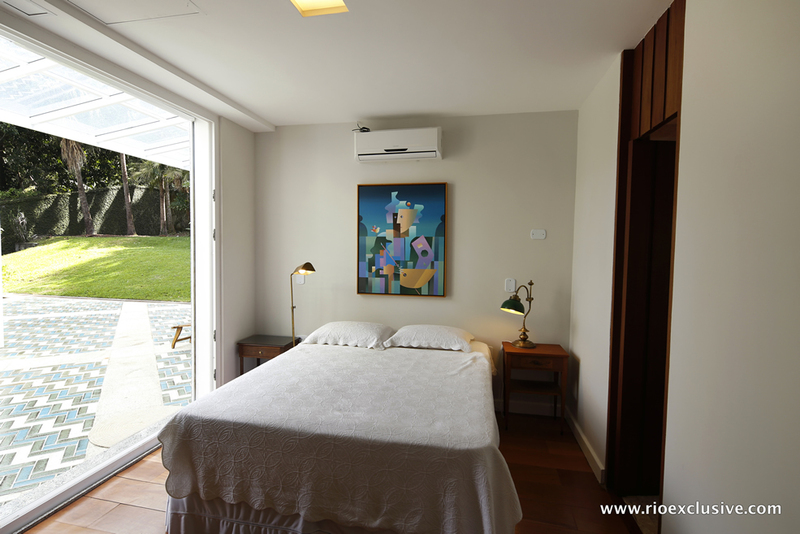 The estate is decorated with various worldly sculptures through-out the grounds is ideal for those who appreciate art. 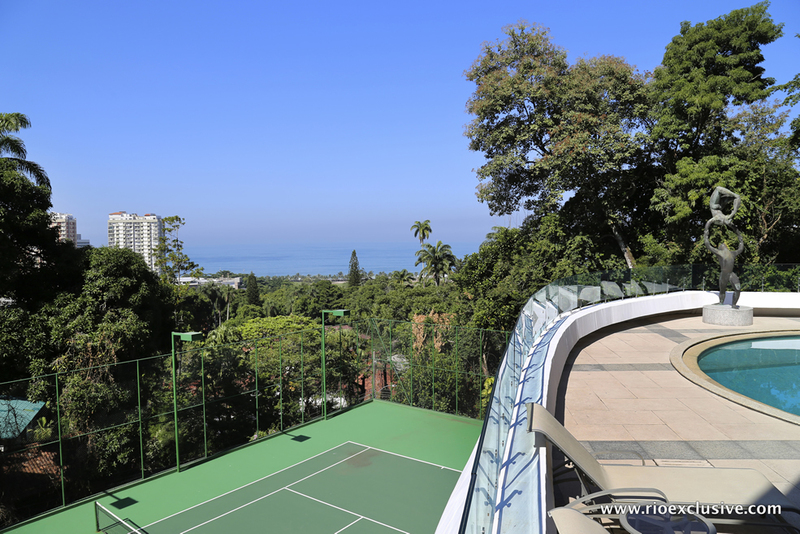 The entertaining areas of the leisure area are immense with swimming pool, Jacuzzi, natural fountain, dry and steam sauna, Gym with ladies and gentleman bathrooms, BBQ / bar area, painting room with separate bathroom, Night club, Official tennis court (18x36 meters) with resting area and a Half basketball court (9x18 meters) with possibility to turn in to Squash court.